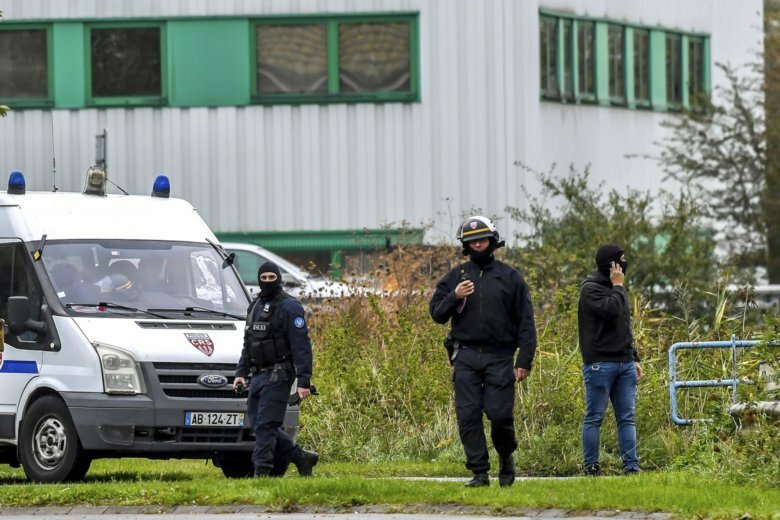 PARIS (AP) — French police detained three people and seized weapons during raids of a dozen homes and the headquarters of a Muslim association based outside the port city of Dunkirk during an anti-terrorism operation early Tuesday, officials said. Authorities froze the funds of the Centre Zahra France, along with those of three other organizations and four men linked to the groups. Interior Minister Gerard Collomb said the prefecture of the region was in the process of closing the prayer room of Zahra France, headquartered in Grande-Synthe. He said the three detained were taken in for illegal weapons possession. Police didn’t say what types of weapons were found. About 200 police officers searched homes and the headquarters of the association. Some French media reports said that Zahra France was a leading center for Shiite Islam in Europe and is suspected of links to Iranian-backed Hezbollah, based in Lebanon, and fighting in Syria or to the Palestinian Hamas. The information couldn’t be immediately confirmed. One Zahra France official cited in the order to freeze funds, Yahia Gouasmi, 68, told CNews TV channel that the weapons were solely “for the security of the center” and mainly belonged to Zahra France’s security detail. The small town of Grande-Synthe is known as a magnet for migrants seeking to cross the English Channel to Britain, and as a draw for smuggling activity that often thrives where migrants congregate. However, there was no known link between Zahra France and migrants.